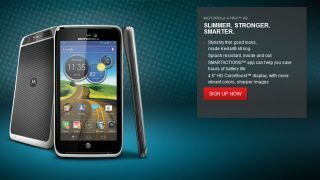 Motorola has refreshed its webpage detailing its Android updates, with the Atrix HD the next device in the US to get the jump to Jelly Bean. It's pegged to get the update before the end of the year. At the beginning of next year, the Electrify tablet will see Jelly Bean, along with both versions of the Xoom tablet. Which is great, considering how old the Xoom is. In Canada, the Razr HD will get the update at the start of next year, along with the Atrix HD. Over in Europe, the Middle East, and Africa, meanwhile, the Razr i is pegged to be upgraded to Jelly Bean at the start of 2013. In the Asia-Pacific region, the Razr HD is said to get Jelly Bean sometime this month, while the Razr M will see some bean action at the start of next year in Australia. It's worth checking out the list if you own a Motorola device, or are thinking of buying one. Plenty of its phones and tablets are listed as staying on Ice Cream Sandwich, while some are just said to be getting the upgrade to Jelly Bean at some point, with no date given. The fragmentation of Android updates has meant plenty of headaches for mobile users. Google now owns Motorola, which should theoretically mean Moto sees updates ahead of other device makers. But in practice, that hasn't been the case.